Please check out the great images submitted in the 2014 Through the Lens Photo Contest in this weeks Port Townsend Leader. 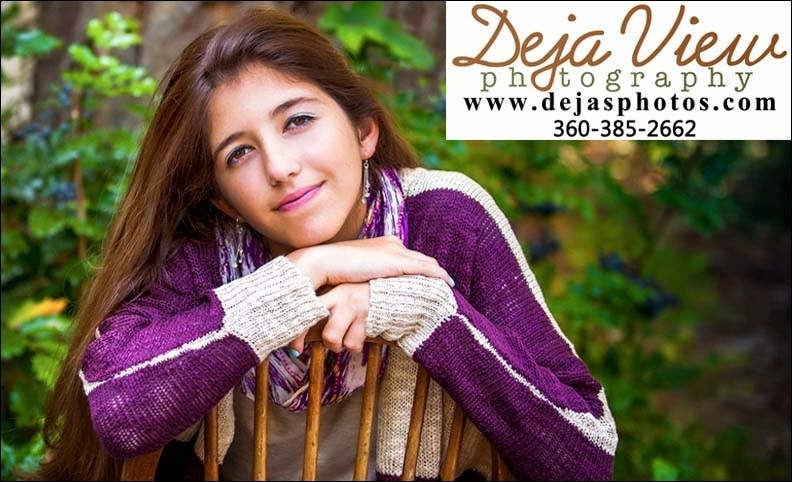 Deja View Photography was one of the sponsors for the contest. You can vote either online or use the form on the page with the photo entries, deadline is September 18th. Angela, a recent client, gave me permission to use this fun image from a photo session she had at my Port Townsend studio. She needed images to use for an invitation to announce her Quinceañera that I will be photographing in February. It is wonderful working with her, and her Mom, and I can't wait to document this special celebration for them in the spring.